Hi everyone! 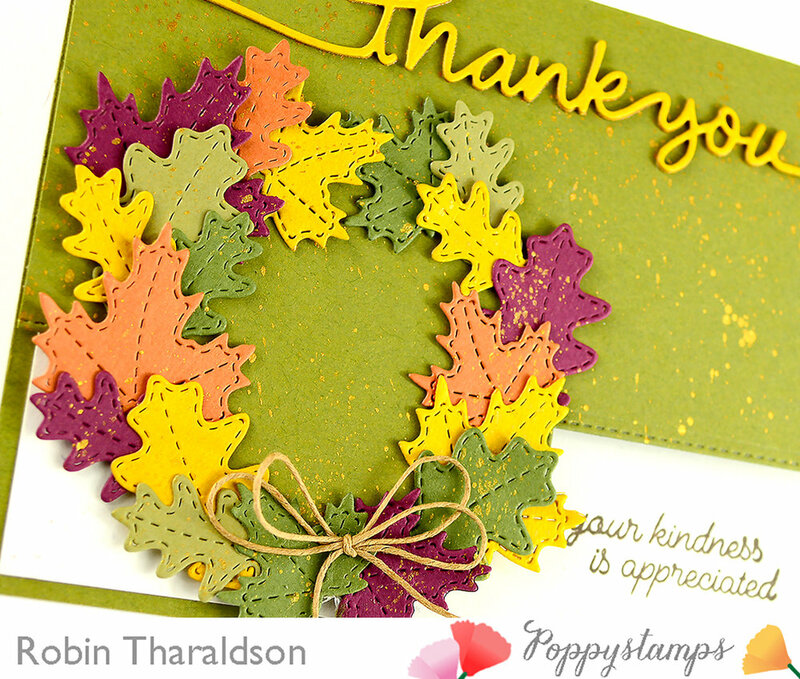 Today I’m sharing my Poppystamps Thank You card with you. This card uses the Stitched Oak Trio and Stitched Maple Trio die sets from Poppystamps 2017 Holiday release! Another card using my growing pile of “can’t throw out, will be useful for another project” cardstock scraps! I will never us them all and one of these days I will just fill my trash can and start over! The detail in the Fall leaves add interest and texture, plus I love almost anything stitched. 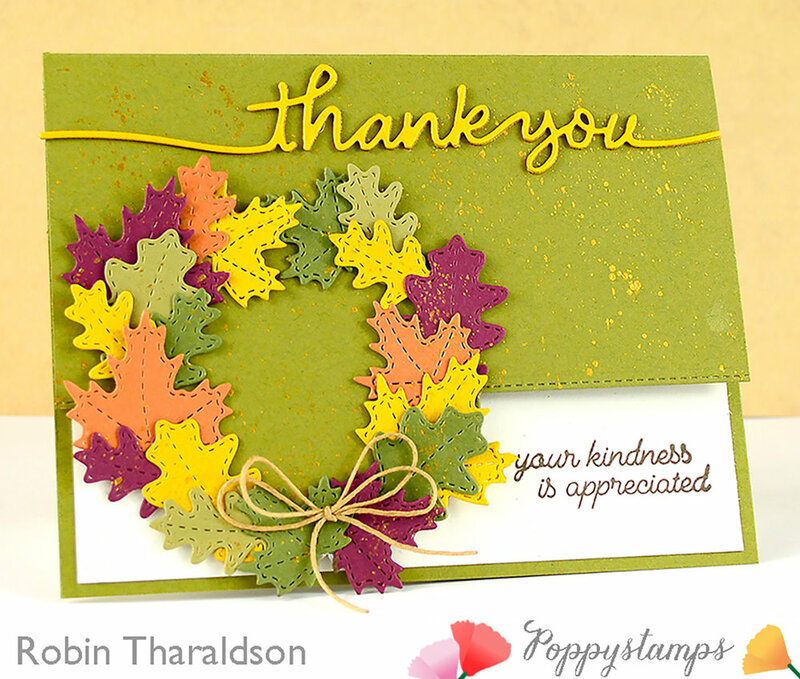 The Thank You Streamer die was cut three times and layered using spray adhesive. I flicked a warm gold metallic watercolor onto the wreath and card front. To keep my wreath round I used one of the Pointed Circle Frame dies and attached my leaves. I added glue to the base of the leaves ONLY; it made it much easier to tuck the leaves in and add where needed.